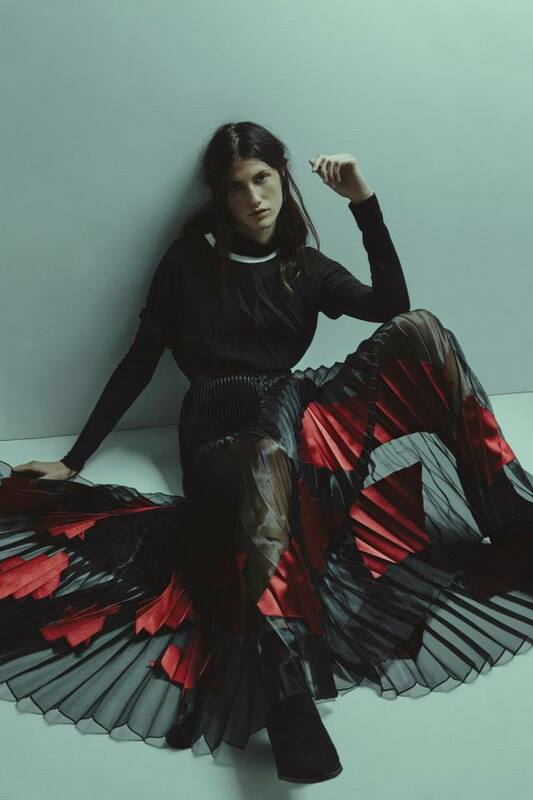 Born in London, Georgia Hardinge shows a truely international background and a one-of-a-kind fascination for fashion design. 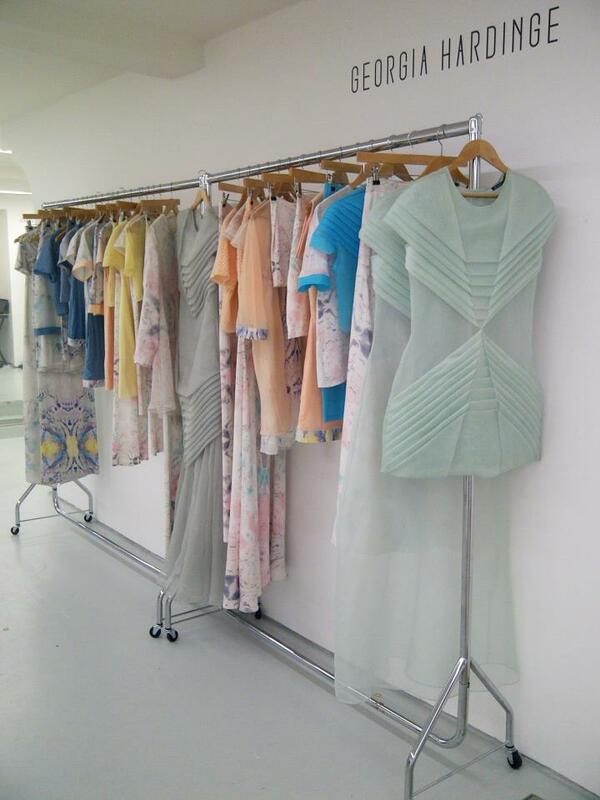 Georgia launched her London-based label in 2010 and begun to build her identity as a sculptural designer. Indeed, her inspiration comes from architectural shapes. Even if her collections do reveal a marked -and sometimes experimental- sculptural style, Georgia produces flattering yet very wearable pieces. 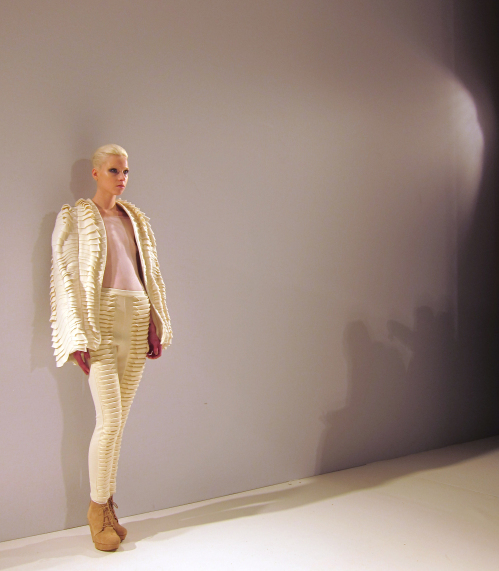 Training at Parsons School of Art and design in Paris, Georgia won acclaim by receiving the best designer award for her graduate collection. 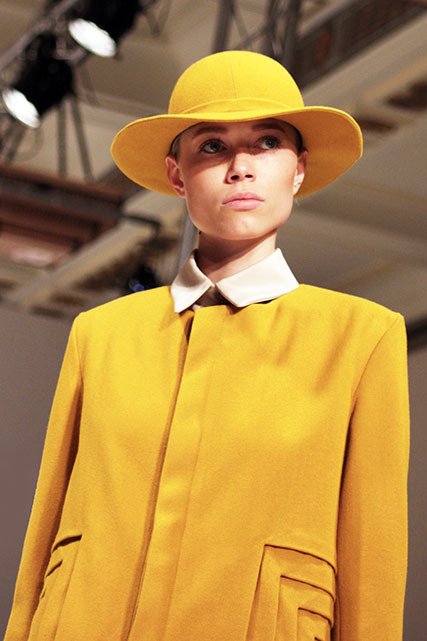 Few years later, Georgia’s Autumn Winter 2011 won the “Merit Award’” with her first stand-alone runway show at Fashion Scout. Since then she has continued to shine with celebrated collaborations including bespoke outfits for the Victoria Secret fashion show with sponsorship from Swarovski, and designing a limited edition Lancôme bottle exclusively sold in Selfridges. The label has seen its second successful collaboration with the high street: Georgia Hardinge for River Island. Her film for River Island has been rewarded as “best fashion film” at Berlin Fashion Film Festival. Sponsorship from the Center for Fashion Enterprise as a participant in their highly sought after Pioneer Program has been another great achievement for Georgia Hardinge. Most recently Georgia Hardinge was awarded “BFC Contemporary” by The British Fashion Council in collaboration with Ebay. International press such as Grazia and Elle’s “One to Watch”, Instyle’s “Name to Know” and main fashion features in Sunday Time Style, ID, British Vogue, Stylist, Harper’s Bazaar, L’officiel and Nylon (…). Celebrity fans include Florence and the Machine, Beyonce, Alicia Keys, Nelly Furtado, Lady Gaga, Erin O’Conner, Ellie Goulding and Iggy Azelia. 1. Do you see yourself as a figure of Fashion ? Georgia Hardinge : I would consider myself as a sculptural figure in fashion. Georgia Hardinge : I would say the GH style is elegant, fashion forward and modern. 3. What made you want to become a fashion designer and what do you love the most about it ? Georgia Hardinge : I always wanted to be a sculptural artist I felt that translating this in to clothing would be new and an innovative. It also would allow my art to be accessible to many. 4. If you were not a Fashion Designer, what would you be ? Georgia Hardinge : I would love to create instillations. 5. What was your experience in the fashion industry before forming your own company ? Georgia Hardinge : I interned at various brands and collaborated with some incredible artists and brands. After university at Parsons in Paris I went on to create a bespoke collection for Samsung. I made the collection biased on the architecture of Gaudi “Park Guell in Barcelona” this was a great achievement and made me realise that I needed to start my own brand. 6. After Parsons Paris School of Art and Design in 2008, you moved to London. What was it about London that made you want to set up your label here ? Georgia Hardinge : London is a great place for young talents. It has many platforms to help grow a young brand. The British Fashion Council and CFE have really helped me lean the ways of fashion enterprise. 7. What does being a ‘contemporary’ designer mean to you ? 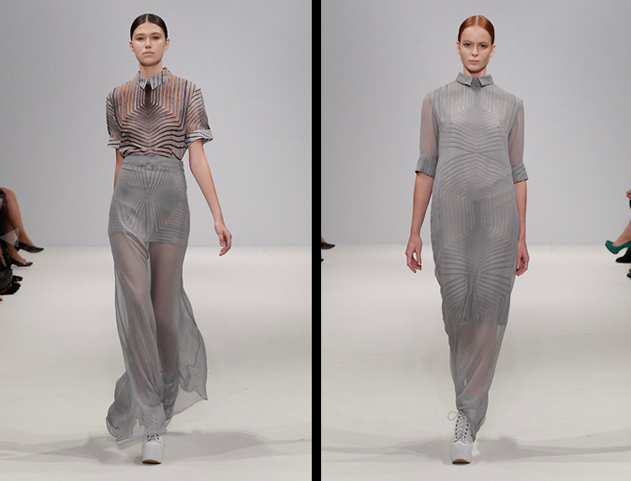 Georgia Hardinge : Contemporary to me means new and accessible designer fashion. 8. Who is your favourite designer ? 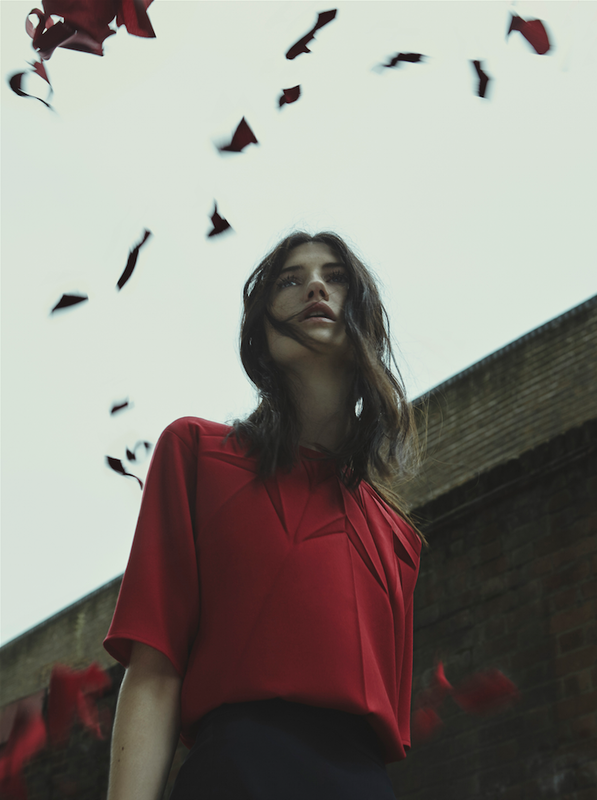 Georgia Hardinge : My favourite designer is Hussein Chalayan. He is an incredible innovative artist. 9. Where do you like to travel ? Georgia Hardinge : I love to travel. Next week I go to Saudi Arabia for work with the British Council. I will show Saudi designers some of my techniques in specialist pleating. I always try to absorb what I can from traveling and take inspiration from the designs within different cities and cultures. 10. How do you start your design process ? 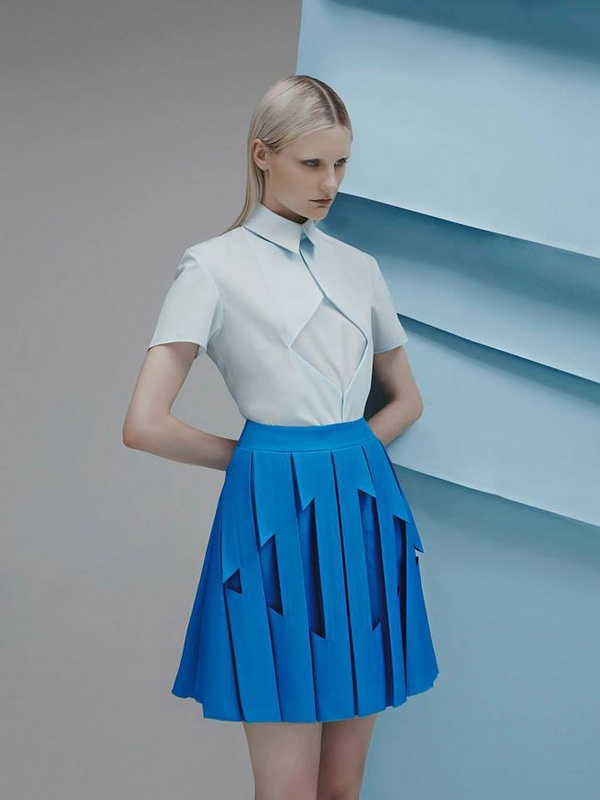 Georgia Hardinge : When I start a collection everything comes from paper folding. That I then translate in to fabric. 11. What do you normally do to prepare yourself for London Fashion Week ? Georgia Hardinge : I try to sleep as much as I can as even weekends are spent working late hours. Georgia Hardinge : I’ve been so lucky to have worked on so many amazing collaborations. A few high lights have been with my collaboration with River Island, Lancôme and Victora Secret. I created a capsule collection for 22 stores in the uk for river island and make all there window displays. 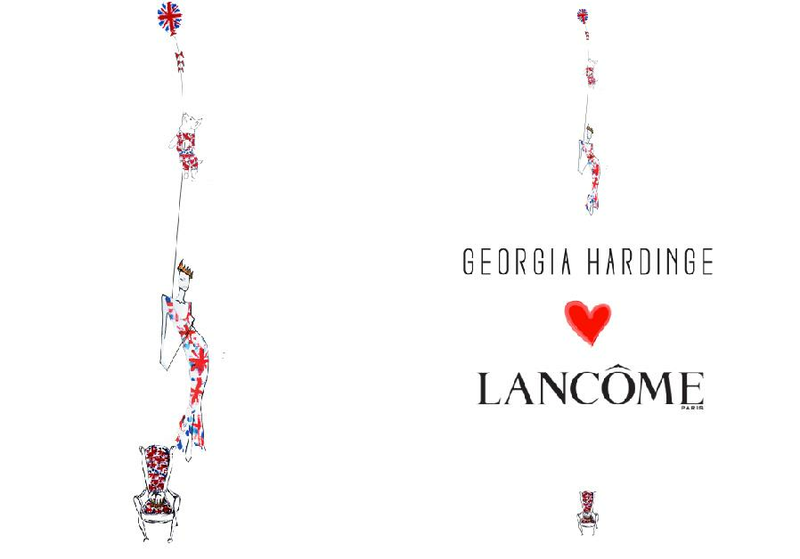 For Lancôme I created a limited edition design for there genefique and visionar cream bottle exclusive for Selfridges. Then victoria secret: I created 3 show pieces for their international runway. Georgia Hardinge : Architecture and sculpture is what inspires me the most. Essentially I create a sculpture in card and paper and then translate this in to a minimal pleat design that is wearable and comfortable. From afar it looks like a stiff structure but up close it is soft. 14. What is next for you ? Georgia Hardinge : I am now working towards my presentation in February. Making a SS2016 collection and collaborating with various artists and brands. Watch this space ! Wow I Really Love This Art … Also i Gain more knowledge from this Blog Thanks For Sharing with us.